In this episode, Nea Clare interviews Jill Goux, owner of Joyful Living. She will share her experiences over the last year, and how personal transformation has opened doors to a new way of being and working with her clients. She also shares about her innovative and brilliant new venture: Curse Club! 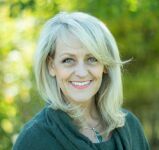 (see details below) Jill is a seasoned intuitive energy practitioner, transformational movement, meditation and life coach, certified master dowser, as well as a channel, published writer and Spiritual teacher. Do you enjoy swearing and cursing? Or maybe you want to explore this expressive side of you that has been ignored or stuffed away. This workshop might be for YOU! Get your curse on! Check it out HERE. Note: You can call Jill to schedule and mention your code for your discount!